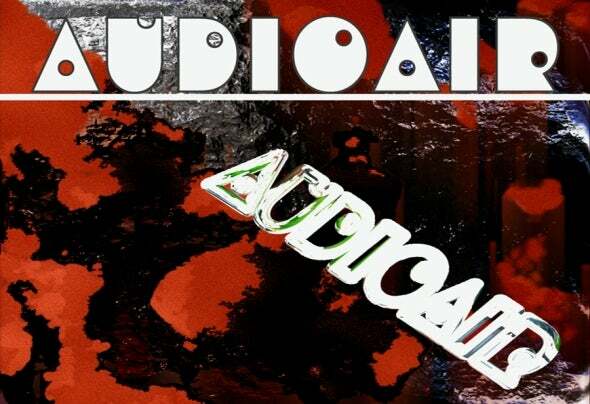 Bringing together the collective talents of Italian DJ, songwriter/producer “Fed Conti” and Scottish singer/songwriter Michael Macdermid, “Audioair” is a breath of fresh air on the electro-pop/dance scene. Back in 2008, Conti and Macdermid decided to embark on a new electro/pop project. It was the duo’s diverse careers in the music industry that led them to this moment with both songwriters having worked on a huge range of diverse music previously. They went to work and released the dance floor-filler “Turn Your Camera On” featuring the vocal talents of “Holly Wood”. Wood is a Scottish singer with Kylie-esque vocal talents. She is one quarter of Scottish chart band Outbox and has supported several top pop acts such as Westlife, McFly, Sugababes and Beverley Knight. Having spent much of 2002-2006 honing her skills as a vocalist and keyboard player in Scotland, she also made several national radio and TV appearances promoting with her band. Since featuring as vocalist on Audioair’s debut release, she has continued to perform both as a solo artist and with the band Outbox. In 2011, Audioair returned with their latest electro-pop anthem, this time featuring the sensational Sara Grimaldi. “Hello Monday” is the perfect tonic to the weekend and is available now. Sara has toured around the world with her music and has performed some of the most well known dance acts around. In 2006, she teamed up with Fed Conti on the “Eyes of Love” project and charted in the top 20 billboard USA Club Chart for two months with the song “My Love is U”. Sara has also collaborated and sang with artists such as Zucchero Fornaciari, Ice MC, Unconditional, Funky Company, Jenny B, Double You (BMG) Tony Di Barth, Gianni Bini and Roberto Zanetti. Her incredibly powerful vocals, drives “Hello Monday”, taking Audioair to a new level.Michael Macdermid began his music career in pubs and clubs as the singer in various bands and from as young as 14, he could be found entertaining audiences in his native Scotland. After signing to his first management deal in 2001, he began working with other artists and toured with pop stalwarts Liberty X, Atomic Kitten, Tom Robinson, + many more. Fast forward to 2008, and a UK top 40 with his own band Outbox, performances on tours with Wet Wet Wet, Toploader and Ocean Colour Scene began to set the scene for a new project. Michael is also the featured vocalist on the very successful Grum singles “Heartbeat”, “Can’t Shake This Feeling” and “Sound Reaction” - a project which also featured the prolific Fed Conti and has generated top 40 iTunes dance positions around the world, including a top 5 US dance album position. He is currently writing with several, well known, songwriters and has recently placed songs with successful current artists in the UK, Germany and Japan. Fed Conti (aka Mahjong) was born in North West Italy and began his career in music in the late 90’s, moving to the UK in 2005 to launch his music production & publishing company Mahjong Music Ltd. Fed Conti has sold records and collaborated with labels such as: "Universal – Island Records" (Uk), Universal Italy (It), Universal Portugal (Pt) Ministry Of Sound (Uk), "Stealth Records" (Netherlands), Cafè Del Mar (Sp), “Oxyd” (It), “Om Records” (Usa), “Time Records” (It), "S2S" (Japan), "David Gresham Group" (South Africa), "KULT" (Usa), "Born To Dance" (UK), “Music Plant” (USA), “Rebirth-Motivo” (Italy), “Stefano Cecchi Records” (It), Nick Holder's "DNH Recordings" (Canada), "M.O.D.A. Music / Warner Music" (It), "Media Records" (It), “Umm” (Uk) to name but a few.His music has been used in various TV shows in the USA, UK and Italy including fiction and TV series such as “The Castle” (Abc), “Cento Vetrine” (Mediaset), several sound logos and jingles for the Mtv Network, videogames with Atari and Konami. His original music also appears on international advertising campaigns such as “Lancia Y 2006”, Ford Focus “2006”, “Fiat Punto 2007”, “Always Envive 2008”, “Infasil 2009” and major Hollywood movies like “Mr Popper’s Penguins” with Jim Carey.